Studying historical records can give us only so much information about a specific place. Archaeology offers a unique perspective on the details of everyday life that written records do not fully capture, such as: Where was the bathroom? Privies, or outhouses, were standard for rich and poor alike until indoor plumbing became accessible and also fashionable in 19th century New York. Today, when archaeologists excavate in New York City, they often uncover the remains of old privies. These remains, in addition to nightsoil (the polite term for human excrement), often include objects lost in the bathroom, garbage tossed into the privy while it was in use, or garbage used to fill in the privy when it was no longer in use and are therefore rich sources of information about a given time period. One such privy was excavated in City Hall Park by Hartgen Archaeological Associates, Inc. in 2000 and 2001. This project was conducted under the guidelines of the Landmarks Law of 1965 and the 1977 City Environmental Quality Review Act, laws that require assessment of archaeological resources on city properties that could be impacted by construction work. Excavating a late 18th to early 19th century privy on the Tweed Courthouse grounds. Image courtesy of NYC Landmarks Preservation Commission. These excavations were concentrated on the area around Tweed Court House (built between 1861 and 1881), in the north west section of City Hall Park. This area has long been a center of civic activity in New York City. In 1735, an almshouse occupied the site and housed the homeless, sick, and other New Yorkers unable to care for themselves. This was the first institution of its kind in New York City, and existed in City Hall Park until residents were moved uptown in 1816. 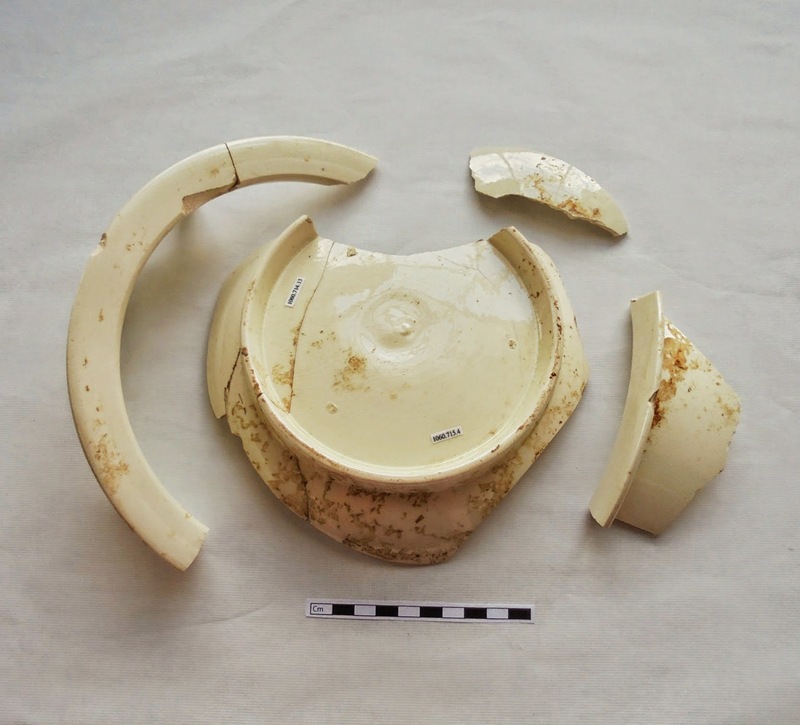 Fragments of a ceramic whiteware chamber pot excavated from the almshouse privy. In one part of the excavation, a privy relating the 18th century almshouse was uncovered. 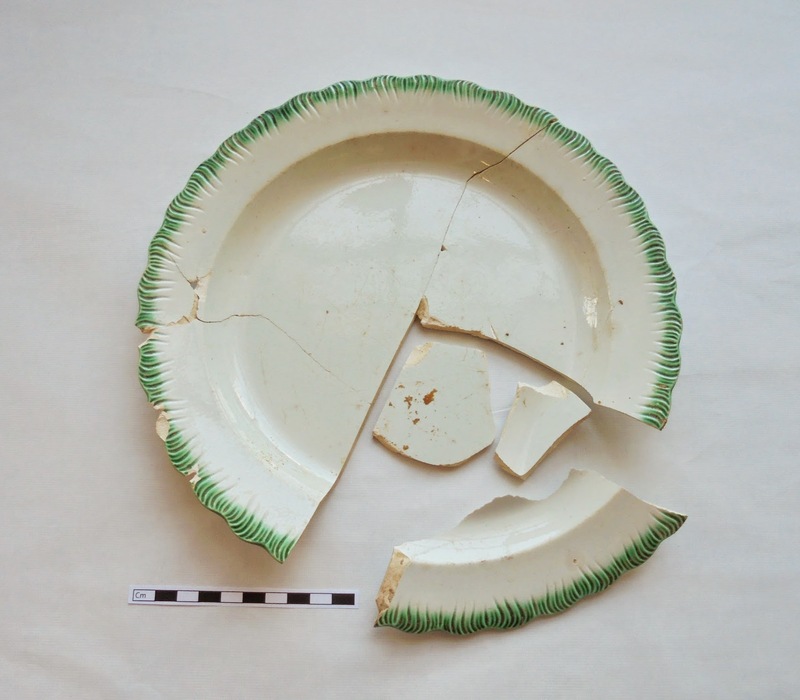 Items such as the shell-edged plate (below) and plain chamber pot (above) that were found on the site are some of the most common ceramics archaeologists unearth relating to this period. They would have been accessible to New Yorkers from all walks of life as they were some of the most affordable housewares available at the time. Ceramic pearlware dish with green shell-edged design. As one of the cheapest tablewares with color decoration during the late 18th to mid 19th century, shell-edged plates were frugal and fashionable. These fragments were excavated from the Almshouse privy. 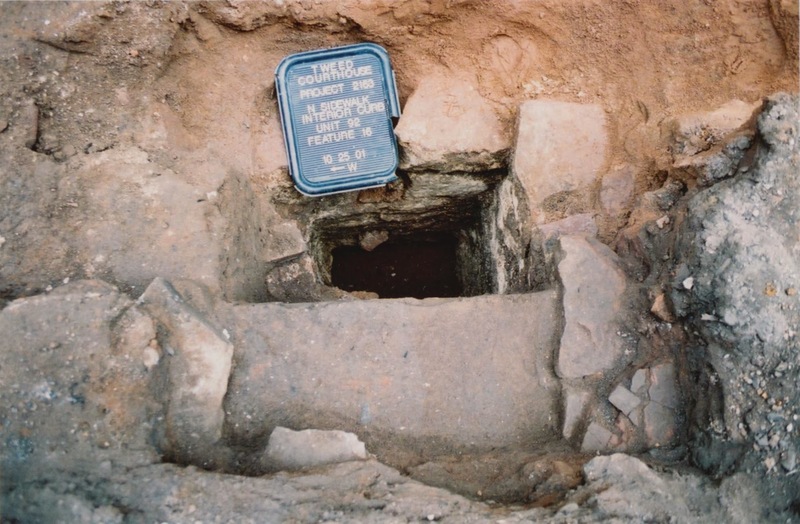 Archaeologists determined that this privy was in use during the 1780s. One way they know this is though production dates for items such as the ceramics above. Another helpful dating tool is numismatics, such as this Spanish coin (below). 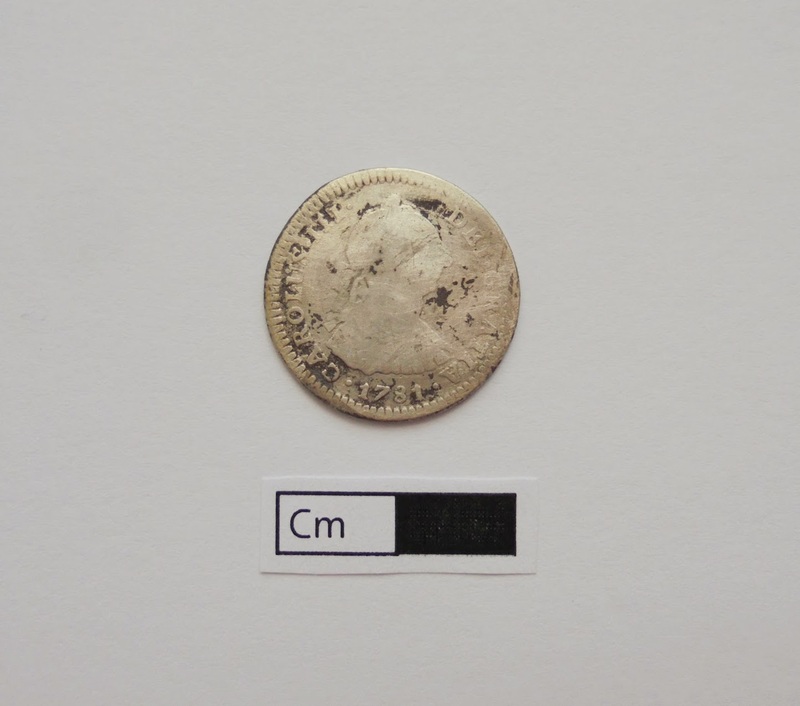 It was minted in 1781, so excavators know that the privy must have been in use sometime after this date. 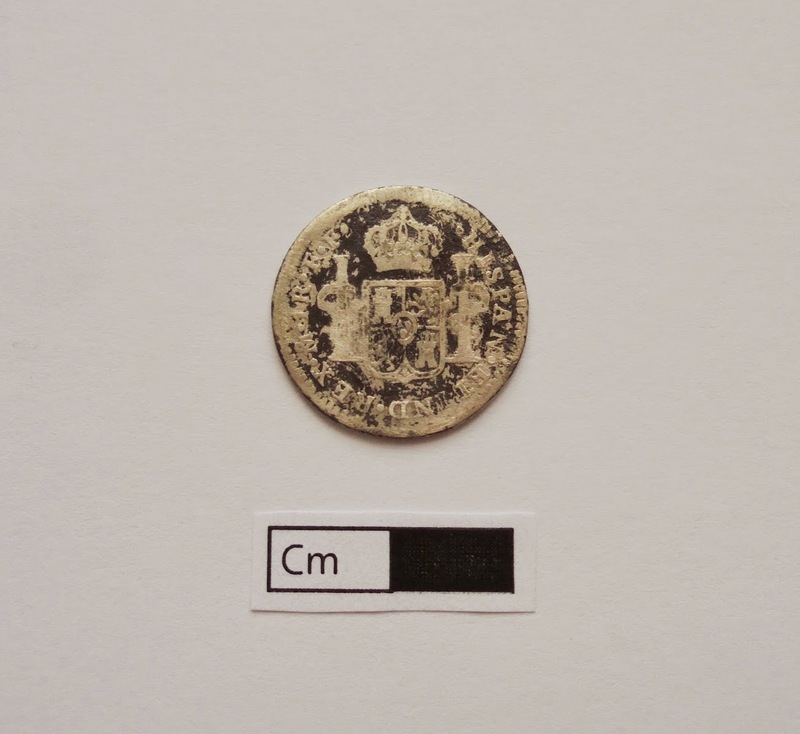 Corulus III Coin (1781) Archaeologists found this colonial Spanish coin at the bottom of the Almshouse privy. View of back side. Corulus III Coin (1781) Archaeologists found this colonial Spanish coin at the bottom of the Almshouse privy. View of face side. How does a Spanish coin end up in colonial New York toilet? Post your theory in the comments! These artifacts, and many more, are being cataloged and digitized at the Museum of the City of New York as preparation for public access and long term care at the Landmarks Preservation Commission Archaeological Repository. Research inquiries can be directed to archaeology@lpc.nyc.gov. More information on the project can be found here. This entry was posted on October 21, 2014 by Sarah Kautz in Archaeology project and tagged 18th century, Almshouse, archaeology, Landmarks Preservation Commission, privies, Tweed Court House.